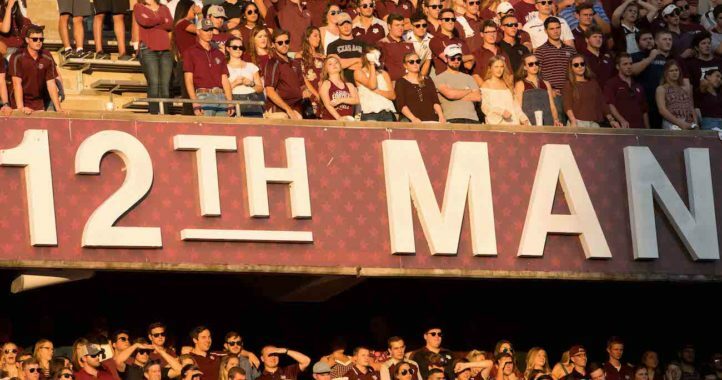 If you missed the news, Texas A&M announced on Wednesday that the program’s 2019 season opener against Texas State from Kyle Field was moving from Saturday, Aug. 31 to Thursday, Aug. 29. 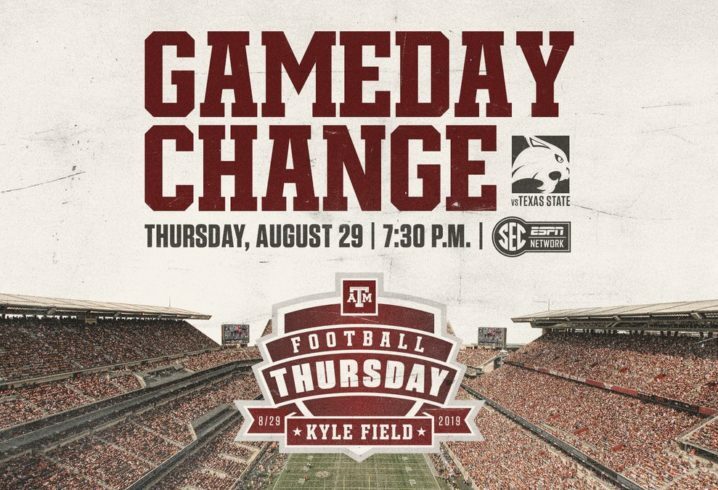 This change will mark the second Thursday night season opener in Jimbo Fisher’s two seasons in College Station and allow the program to be showcased nationally in a game that would otherwise be overlooked by many outside the state of Texas. Last season, the SEC Network took its pregame show SEC Nation and The Paul Finebaum Show to College Station for A&M’s opener against Northwestern State, and while that has not been announced by the network, it’s safe to assume SEC Network will be on hand to cover the 2019 opener in much of the same fashion. During his latest media availability, Fisher was asked what he thought of Texas A&M’s decision to move the season opener up a few days. To no surprise, the Aggie coach is on board with the move and noted his team will now have extra preparation for the Week 2 trip to Clemson. While making the season opener a bigger deal and getting to showcase the program on Thursday is nice, that last statement is key for the Aggies. Texas A&M nearly knocked off Clemson last season, something not even Alabama could say, and will be traveling to Death Valley with the intentions of finishing the deal this time around. 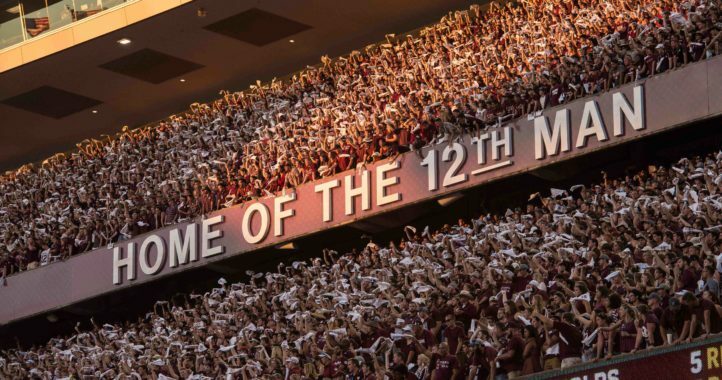 There’s no doubt the Aggies will be a huge underdog going up against the Tigers but if they pull the upset, that game will likely send a signal to the rest of college football that Texas A&M is ready to join the nation’s elite and will provide Fisher with the biggest signature win of his Aggie career.